How do you move your practice to its best future state? Independent physician practices face one of the most complex revenue cycles of any U.S. profession, while operating within a larger industry that is among the most opaque, highly regulated and constantly shifting. For those hoping to lessen inherent challenges and improve cash flow without compromising care, outsourced management of their revenue cycle has become an increasingly attractive option. 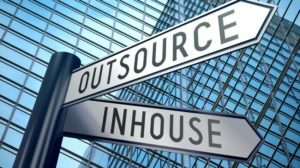 The benefits of outsourcing are wide and compelling. Which elements are the most important to consider in making a decision that will carry your practice efficiently into the future? A strong revenue cycle vendor provides task specialization that allows far more effectiveness than one or two staff in your office doing everything from start to finish. Specialists will audit your allowed amounts on EOBs versus your contracts, apply claim scrubs to ensure that claims are submitted correctly, review denials for accuracy, keep up with changes in rules and codes, work at each point to reduce your cycle time, and apply improvements gained from successful efforts on behalf of other practices. End to end, you’ll get a team that’s expert in problem-solving and seeing insurance reimbursement and client payment all the way through to resolution. The result is better collection rates. We discovered that a new client with an ASC was needlessly writing off thousands of dollars for procedures under the mistaken impression that insurance companies were denying some procedures on the claims. After investigation, we discovered that their electronic claim format had been set up incorrectly causing multiple procedure codes to roll into the first code entered – resulting in insurance companies seeing, and paying, for one coded procedure per claim. The staff wasn’t knowledgeable enough about the larger process and insurance contracts to question the results; they simply posted the amounts received, wrote off the rest and closed the claims. And, because the claims were being closed quickly, the practice’s AR looked great, giving everyone a false sense of success about their payment resolution process! We corrected their set-up so that new claims were submitting all codes, appealed all older claims possible under time limits, and automated their process. Your cash flow improves with outsourcing because we submit your claims faster, with fewer errors – reducing turnaround time and zero-pays. Your lower office overhead can be concentrated on revenue-generating staff and activities. And, you’ll be able to match costs to revenues; with most vendors your fee will be a percentage of your collections, so your collection costs will be lower in months that aren’t as busy for your practice. Through this fee arrangement, you have the assurance that we do better only when you do better. Across all of our client practices, we collect over 96% of allowed amounts. Our average for days in AR is in the 20’s for adult medicine, and we are below the 20’s for pediatric practices – versus a physician practice average of 40 days in AR. Highly experienced, exceptional employees with significant insurance knowledge are hard to find and expensive to hire. If you’re lucky enough to find them, they may get lured away by competitors or jobs closer to home. Or they miss a critical period because they’re sick or on vacation. Most alarmingly, your entire operation may be effectively captive to a single employee who knows where everything is, knows how that system that never works can be bypassed, but has never written down any of this tribal knowledge. (And woe to your practice when he/she quits with the standard two weeks’ notice.) Some employees, fearing reprisal, hide billing issues rather than report them. With outsourcing, these problems become somebody else’s problems. Your vendor takes on the responsibility of finding, hiring and keeping your experts. If you’re running a revenue management office inside your practice, you’re effectively running two separate businesses. Why? You’re a clinician, not a business person; and the smartest clinician simply cannot know the minutiae of insurance reimbursement, nor know whether you’ve really hired the right people to manage it. Then there are the fixed costs of space, software and computers, along with the costs related to your payment staff. As well, there’s an opportunity cost: how much time do you and your staff spend on revenue cycle management? (How much time should you be spending?) Instead of chasing payments, you can focus on your core competency, clinical care, with a strong revenue cycle manager working for you in the background. Fear of handing over any patient touch point is an understandable concern for a practice. But this particular touch point is only as good as your reimbursement process and can easily damage the trust your patients have developed through your care when claims don’t process correctly. Outsourcing provides clarity, efficiency and transparency – and nothing will give you greater control over the success of your practice. As one of our clients recently noted, the virtual billing company model Physician Interlink uses does not “hold the practice hostage” as traditional billing company models do. There are very few barriers to starting or stopping the service. The most important aspect of any outsourcing decision will be upfront communication. Ask detailed questions and be very clear with potential vendors about your expectations and their commitments. Be certain of the services provided. Some vendors will let you pick and choose. Finally, a good revenue cycle management service works hard to increase your collection rate, because the better you do, the more they make on their percentage fee. This increase in revenue and decreased cost of doing the work in the office means a net gain for most practices.